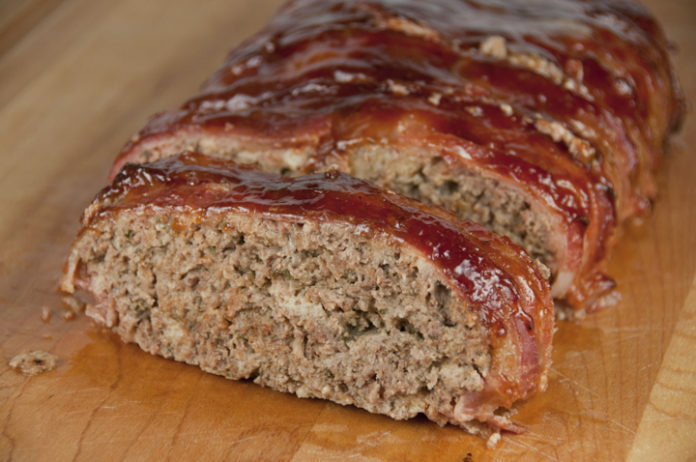 Dive into your desire or need for comfort food with this delicious paleo-based bacon and marinara meatloaf. Savory, simple and delicious you won’t be disappointed! Mix the ground meat with the almond flour, eggs and half the marinara sauce together in a bowl. Season to taste with sea salt and freshly ground black pepper. Form two loafs in snug fitting baking dishes and cover the loafs with the bacon slices. Put in the oven to bake for about 45 minutes, until well cooked. Put the oven on broil for another 10 minutes to crisp up the bacon. Remove the loafs from the oven and let cool for a few minutes. Heat the rest of the marinara sauce on the stove top. Slice the loafs, serve into plates and top with the hot marinara sauce.